asked me on my Tumblr question page though I got a bit more inspired and carried away and I drew this little piccy up. 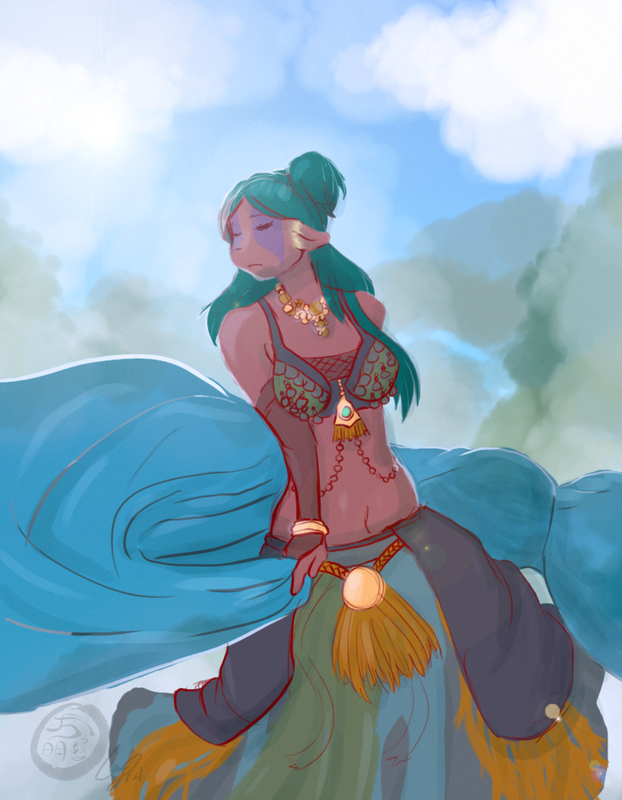 I really wish I actually had this outfit, I'd love to try belly dancing! !